This weekend, I was looking at our to-do list for a simple project that I could get done in a day. And I started to think a new driveway gate could be the answer. Then I thought that gate should match the planters in the front yard, which should match the new trim paint color, which should match the door, which should match the house numbers, which should match the mailbox, which should match the door knob. And then I took a nap instead of doing anything on our to-do list. We came to two conclusions: 1) The house needs shutters 2) The door is where we can make things pop. 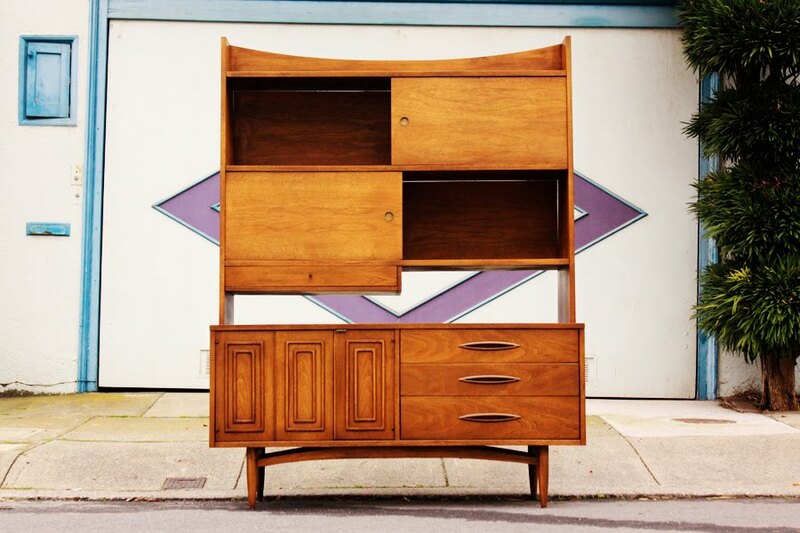 If the price on this mid-century credenza is accurate ($65! 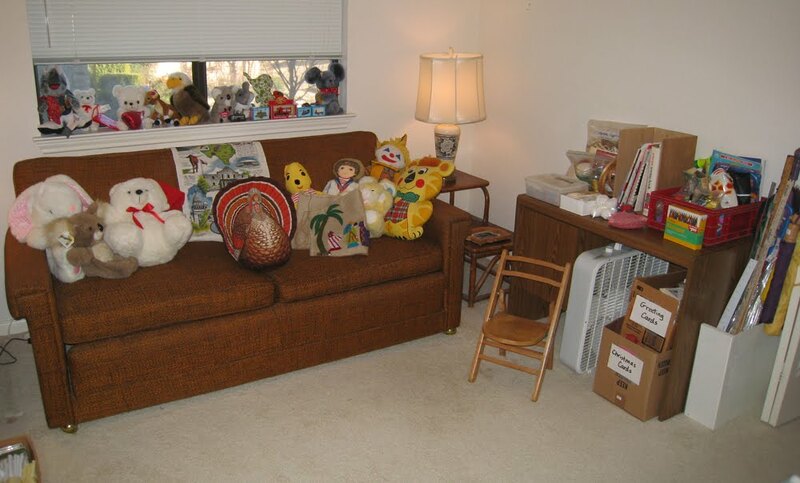 ), you should get over to this Austin estate sale ASAP or all the good stuff will be gone. 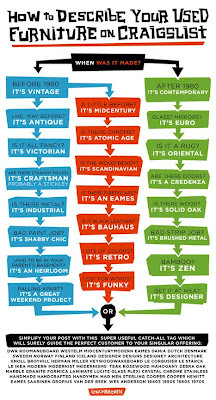 I recently learned about House Industries when a friend linked to their latest video. After digging around their site I found out that they're working with Heath Ceramics to make ceramic Neutra and Eames address numbers. 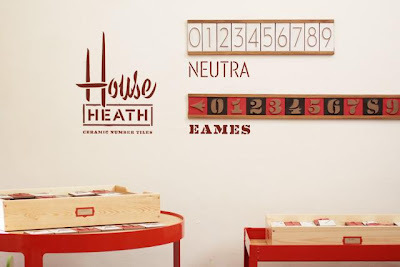 This might make me re-think using Eichler address numbers for our place. We need some new throw pillows for our couch. 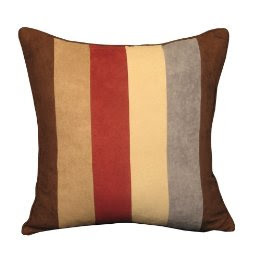 One could argue that no one really needs throw pillows on the couch, but I like to us them to add a pop of color to the room and I like to nap, which generally requires there be a pillow on the couch. 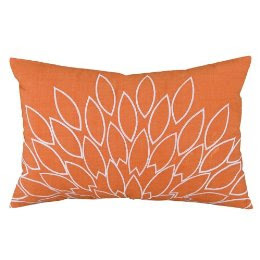 In the past we used orange pillows to add that pop of color and I found some really nice mid-century modern orange throw pillows. 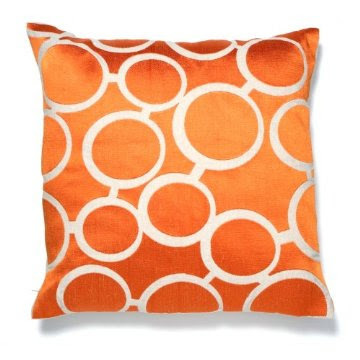 But as nice as these throw pillows are, they're also really expensive. 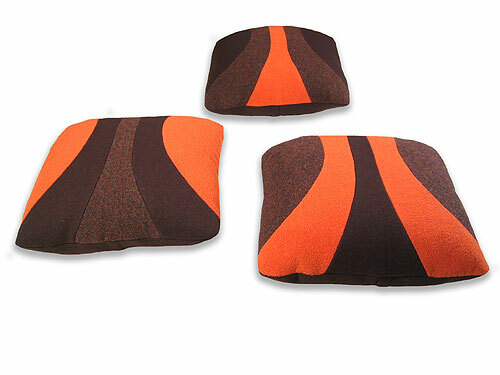 So I took another route, interesting fabrics, and found these more economical options. I love the shag pillow idea. 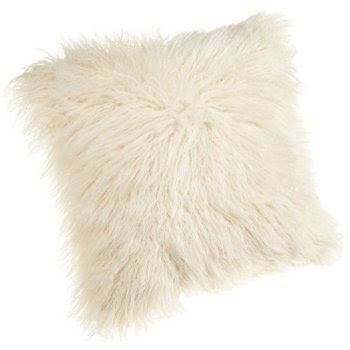 But this seude pillow is also nice and would match the area rug. 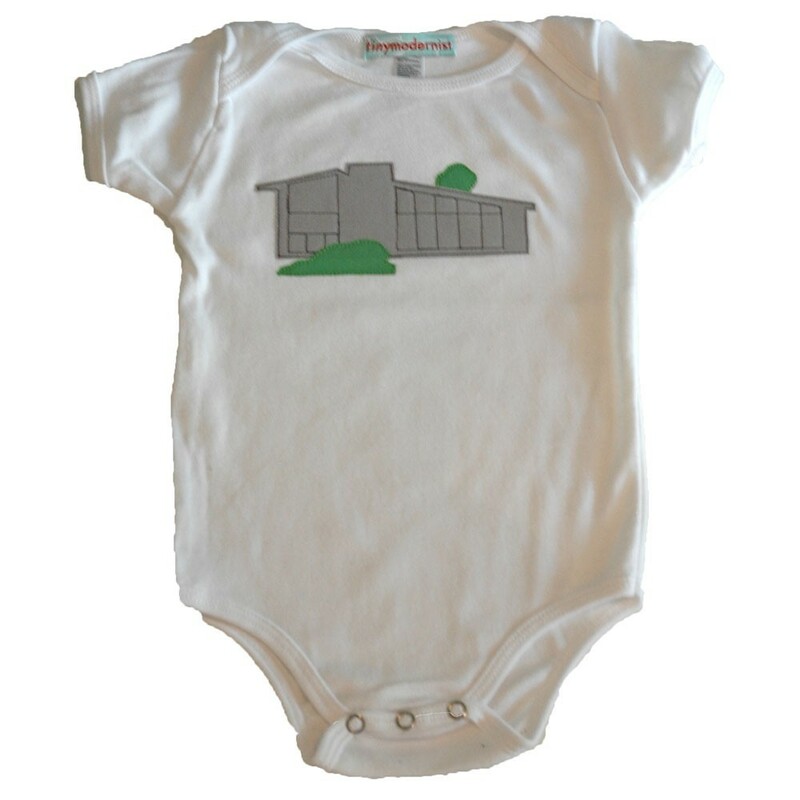 Our travel-themed nursery should be proof that there's a little one running around our mid-century ranch home. I'm generally not one for designer baby clothes (as far as I can tell the kid doesn't care what outfit he's in) but how cute is this mid-century ranch onesie? It seems like there might be slim pickings here, but if you're up for a hunt or in need of a a mid-century pendant light you might want to check out this Austin estate sale. Here's what I could find out about the Penn Hardware Company, makers of our art deco doorknobs. Penn Hardware was founded on Spruce St. in Reading, PA in 1877 by Charles Raymond Heizmann, who became the president of Penn Hardware, and his brother Albert Aloyeuis Heizmann, who became treasurer. Out of their plant, which covered a few acres, they began manufacturing builders' and specialty hardware of all kinds. The Penn Hardware company became known worldwide as quality manufacturers of door knobs and locks, exporting their products to Europe. The Penn Hardware Company purchased the Bright Lerch & Co. in 1883 on the Schuylkill Canal near Spruce St. and converted it into a factory and warehouse. In 1896, the business was officially incorporated under the name of Penn Hardware Company and they started adding other metal productions, including larger industrial materials such as railroad wheels that weighed 350 to 700 pounds each. A nail department was added in 1898. 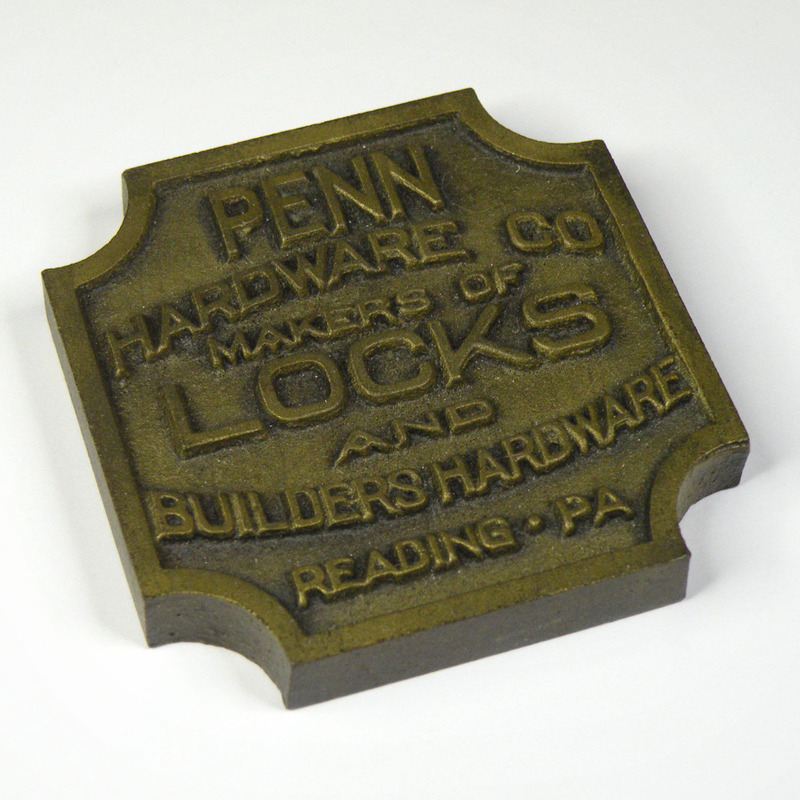 And in the late 19th century the Penn Hardware Company was known as a leading key manufacturer, especially for hotels. The company stayed within the Heizmann family for as far as I can find information on it. I can't find exactly when the Penn Hardware Company went out of business. In fact, there's little information that I can find past the late 1800s. My Penn Hardware Company door knobs are said to be from the early 1920s, but besides the art deco design and an internet consensus, I haven't seen actual proof of that. I've seen products, mainly door knobs, that people date into the 1930s and the sales receipt above is dated 1945, so the company at least lasted into the '40s. I just found some interesting images. These are interesting to me because we have a black, interior version of these mid-century door knobs on all of the doors in our house. I now know the maker, Penn Hardware, and I'm going to see what I can dig up on them. 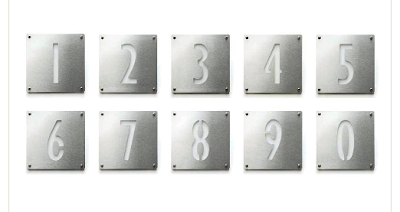 These Eichler-style address numbers have been on my inspiration list for a while. 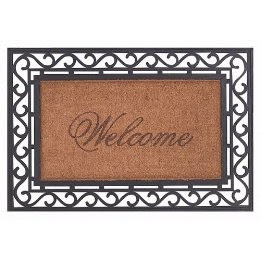 There are two ways we can go with them for our house. 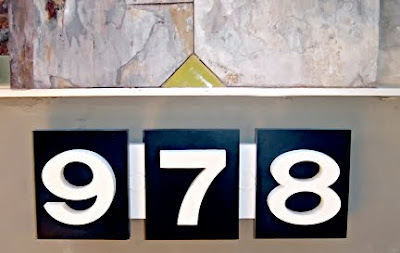 Classic black and white Eichler numbers, which could look nice against our white brick. Or I could take these more modern, metal numbers and build the look myself, so I could match the background to whatever color we picked for our mid-century door. I'm still not sure which way I'm leaning, I might just have to wait till we get the door in. The list of properties on the 2011 Austin Modern Home Tour is out. 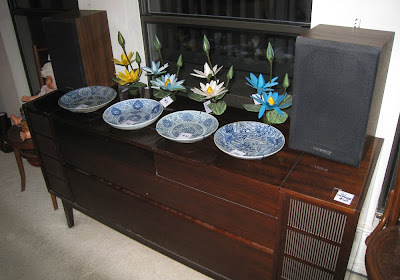 You can check out these boxy beauts on February 5, 2011, from 11am to 6pm. 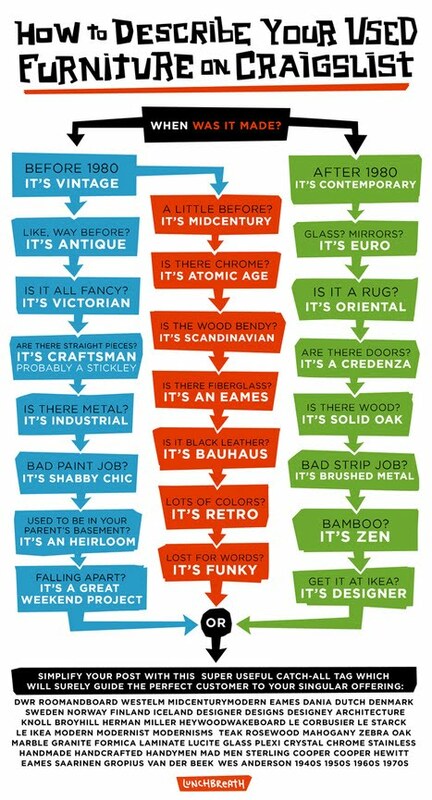 I'm hoping to go this year, but I have a kid to consider, and kid's and modern design don't always go hand in hand. Look at this gorgeous piece of vintage Broyhill Sculptra furniture. I've never seen a Broyhill Sculptra room divider before and, boy, is it something to see. 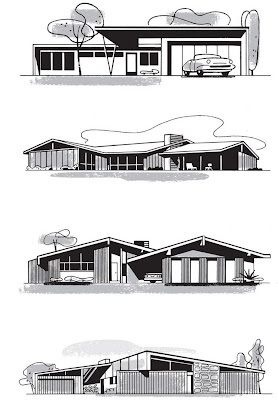 You can see plenty more beauty shots over at Midcentury Mobler's Flickr gallery. Mid-century room divider from Broyhill’s Sculptra collection. This rare piece is finished on both sides in walnut so it can be placed in the center of a room. 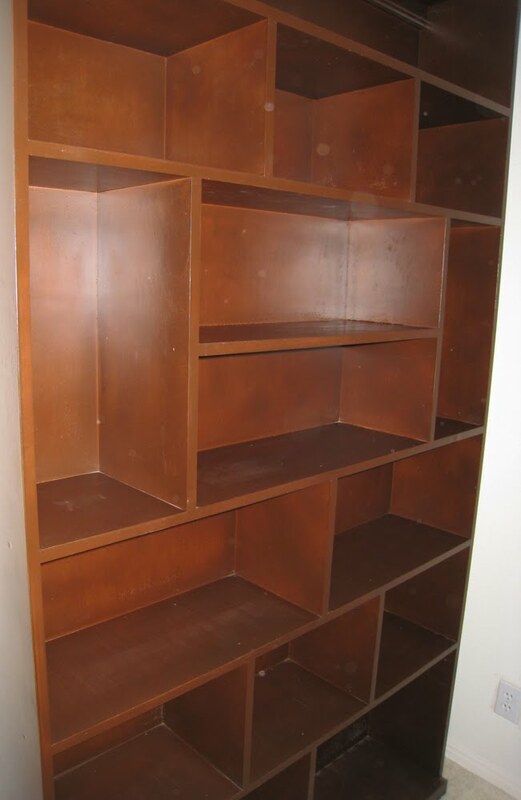 Removable hutch makes this one multi-functional and creates ample storage solutions depending on your setup. If you're looking to find a mid-century ranch home in Austin, then Crestview is for you. Located in north central Austin, most of the homes in Crestview have kept their exterior charm. 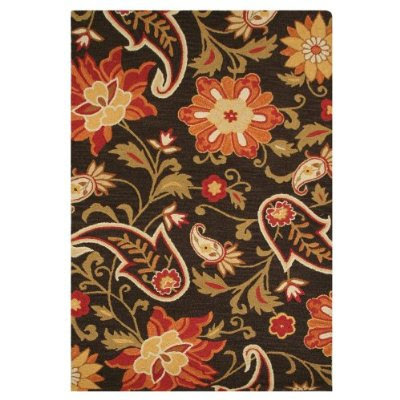 Inside you're just as likely to find something that's been completely gutted and rebuilt as you are original carpeting. Known for it's tree-lined streets and post-war homes, it's hard to believe that Crestview was once farm land, the Richcreek Dairy farm to be precise. 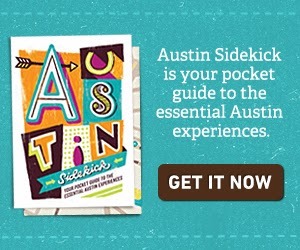 In 1946, the city of Austin annexed the eastern half of what is now Crestview and by 1948 developer A.B. Beddow had started building the Crestview neighborhood. Beddow was dedicated to building a family-oriented community with an elementary school, independent grocer, pharmacy, and barber shop all located at the center of the small community, the Crestview Shopping Center. If you're not in Austin you still may have caught a glimpse of Crestview in Austinite Richard Linklater's film Dazed and Confused, which featured Top Notch Hamburgers, a Crestview staple since 1971 (and my favorite burger joint in town). 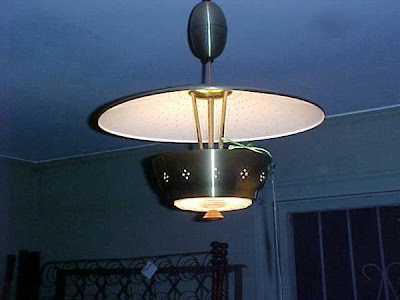 Replacing the pendant light in the breakfast nook was the first home improvement job done once we moved into our mid-century ranch, and for a while everything was perfect. Then the light started to flicker every once in a while, so I replaced the bulb and things went back to normal for a while. Then the light started to flicker every time we turned it on. So I did some research and found out CFLs and dimmer switches, which the nook happened to have, don't get along so well. A couple of minutes, a new light switch and a new switch plate later and things are working as they should again. It's the first home improvement project of the new year. I have some amazing readers. 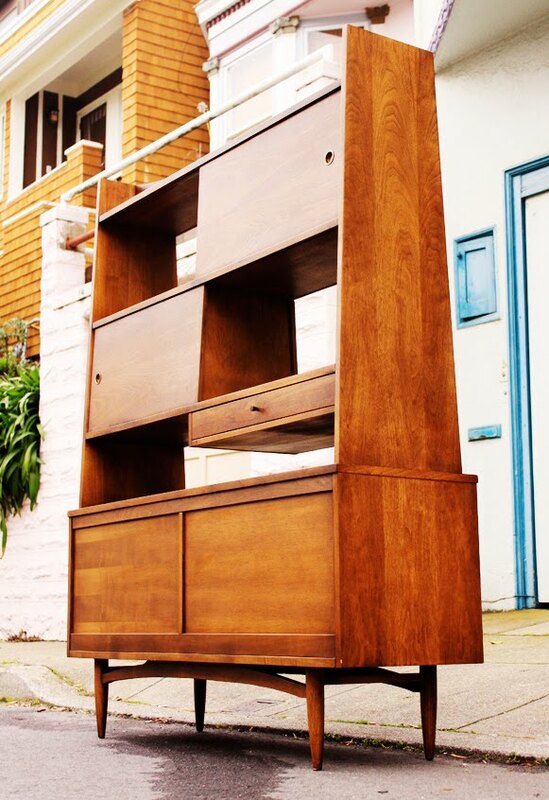 For example, there's Paul who sent me this photo of his re-purposed Broyhill Premiere Division credenza. "This was my grandparents set originally and it lived in their vacation cabin in Minnesota. I re-purposed this piece as a media cabinet. It had about 15 coats of crazy colored paint on it. I removed the center drawers and original hardware, stripped it down to bare wood and used tongue oil to finish it. At one time there was a matching table and 8 chairs in a pecan-like finish. The chairs had a 1960s blue fabric upholstered seats and a medallion on the middle of the chair backs, if I remember correctly." Sadly, Broyhill Division furniture remains a bit of a mystery, but I will continue search for more info on the collection. Cameron Frye's house from Ferris Bueller's Day Off is up for sale again. 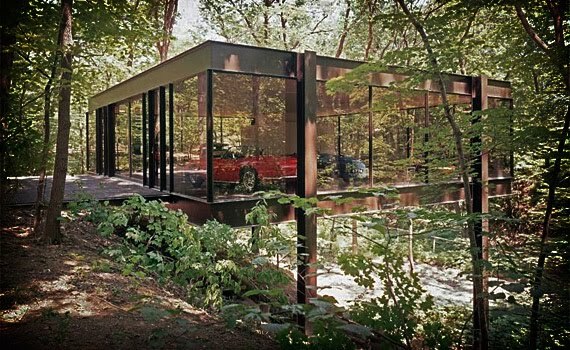 The 5,300-square foot, four-beddrom Ferris Bueller house is located in the Chicago suburb of Highland Park and was designed by A. James Speyer in 1953. The glass pavilion, best known for getting a Ferrari driven through it, was designed by the architect David Haid and added a few years later. The Ben Rose Home - site of the famous movie "Ferris Bueller's Day Off," cantilevered over the ravine, these two steel and glass buildings, which can never be duplicated, have incredible vistas of the surrounding woods. This is a unique property designed by A. James Speyer and David Haid, both notable architects of the 20th Century. Estate Sale Sold -No disclosures! This is an amazing architectural treasure. 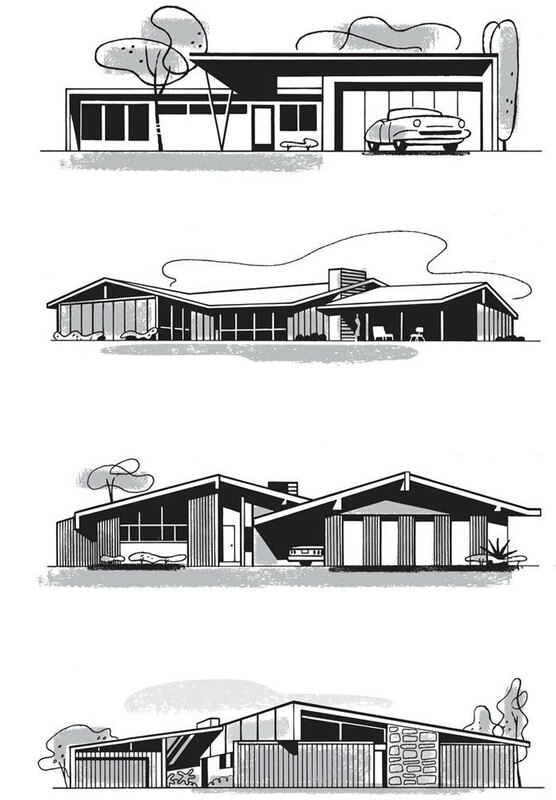 Paul Rogers is the illustrator behind these amazing drawings of mid-century homes. The mid-century Christmas tree is down, the family has left the guest bedroom and things are returning to normal, including a return to regular postings. I got a giggle out of this cartoon and I'm hoping the rest of you craigslist shoppers will too. 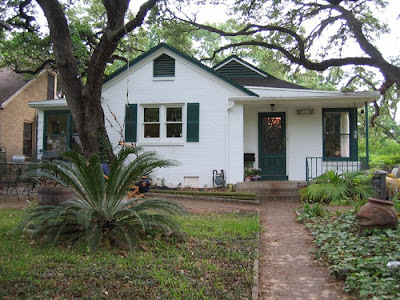 Like this blog, estate sales in Austin seem to have taken a bit of a break during the holiday season. But the future home of Eastside Inn is having a demo/estate sale and they've got a great deal on an entire Holman mid-century dining set.